The Shooting Spiner (ブッパナシグモ（オス）?, lit. : "Firing Spider (Male)") is an enemy encountered in Hey! Pikmin. The males of this species are brown in color and attack differently from the females. It also has red eyes, and small legs with yellow stripes. The male Shooting Spiners move up and down webs, similar to the females. 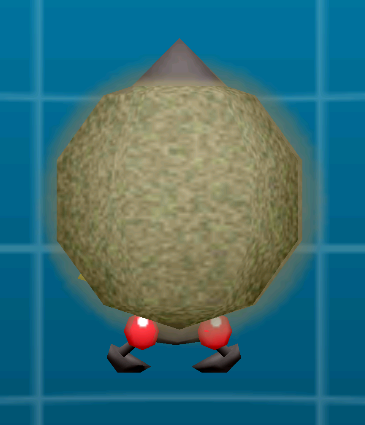 However, instead of attempting to stab Pikmin with their legs, they shoot small toxic clouds horizontally. Shooting Spiners can be defeated with a single Pikmin throw. As the males do not stick their legs out, they are considerably easier to kill than the females. This page was last edited on March 5, 2019, at 14:11.